For us humans, having vitamin C in our diets is literally a question of life or death. Not getting enough vitamin C can result in fatigue, mood changes, joint and muscle aches, bruising, deterioration of the gums, dry skin, dry hair, various infections, and even death. This is because our bodies cannot produce vitamin C on their own. 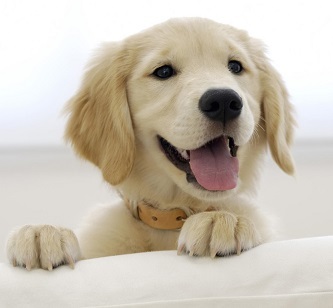 In this article, though, we are more interested in dogs. Do dogs need to get vitamin C from their daily diet or do their bodies manage to manufacture all the vitamin C they need? Dogs, like most other animals, make their own vitamin C. In their bodies, dogs manage to manufacture about 18 milligrams of vitamin C per pound of body weight. That’s definitely enough to satisfy their daily vitamin C needs, and that’s why it’s safe to say that healthy dogs do not need extra vitamin C.
In fact, providing your dog with extra vitamin C could be dangerous for her. If you’d regularly give your dog vitamin C supplements, the experts believe that it could shut down their own ability to produce vitamin C. Therefore it’s definitely not advised to give vitamin C supplements to a healthy dog. If your dog is sick or injured, providing her some extra vitamin C can help her a lot, since past research has proven that an excess of vitamin C boosts the immune system and helps the body to heal various injuries faster than it otherwise would. However, giving vitamin C supplements to your dog comes with the risk of shutting down her body’s own production of this vitamin, so I’d recommend consulting with a veterinarian before making the decision to use vitamin C supplements to help your dog heal herself. Although apples and some other fruits are an excellent source of vitamin C, they don’t contain anywhere near enough of the vitamin to hinder or threaten your dog’s own ability to produce vitamin C. Therefore, it’s totally safe for dogs to eat apples. In fact, since apples are a good source for many other valuable nutrients as well, it would be a good idea to add apples to your dog’s diet. While apples are safe for dogs to eat, most citrus fruits are not. The psoralen compounds and aromatic oils in citrus fruits are poisonous for dogs to eat. In conclusion, dogs can produce all the vitamin C they need on their own so it is not necessary to add vitamin C to a dog’s diet. In fact, adding an excessive amount of vitamin C to a dog’s diet can hurt her body’s natural ability to produce this vitamin. However, getting more vitamin C than usual can still be helpful if your dog is injured or sick. 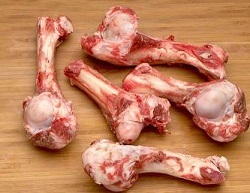 Can Dogs Eat Lamb Bones? Quick Answer! I did not know that dogs do not need to get vitamin C from their food. Thanks for the info!